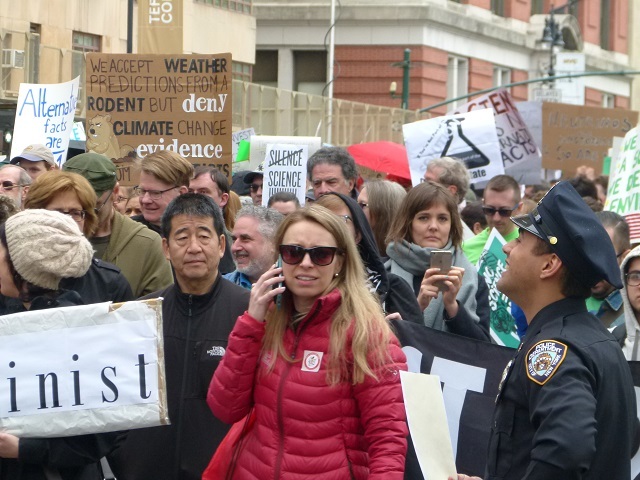 I took part in the March for Science on Earth Day in New York City, where I live. The photograph above is my introduction to the next two blogs, which will both focus on the march. This week I want to discuss our president. President Trump and the entire administration are putting this concept to stringent tests that will establish precedents for future administrations. The promised tax reform, rumored to be outlined this week, will have to confront the sticky situation that is the absence of the president’s publicly released tax reports. This will serve as an important testing ground for the potential conflict of self-interest in government policy. I’ll express an honest desire for the president to act in line with his financial self-interests in one particular area: investing in flood prevention of his various real-estate holdings throughout the world, especially his Florida golf club, Mar-a-Lago. Figure 1 shows the setting of the Florida property, which now appears to serve as the winter White House. I have repeatedly discussed how prone southern Florida is to major climate change-caused floods (see February 23, 2016 blog) and how many in the American building industry are responding to the enhanced flood risks (February 14, 2017). According to data from the National Oceanic and Atmospheric Administration, the President’s so-called Winter White House would be partially submerged if sea levels rose by three feet in the next 83 years. “Today we sit at ground zero of the impacts of climate change in the US,” said Democratic Senator Bill Nelson, ranking member of the Senate Commerce, Science and Transportation Committee. His state has already suffered multiple cases of serious flooding. A recent study published in journal Nature found that sea levels could rise by six feet by 2100 due to ice melting in the Antartic, and the President’s golf course at Doral, Florida, and several of his Sunny Isles Beach properties – along with two million homes – would be underwater. The Nature article mentioned was published way before the 2016 presidential elections, when nobody dreamed that Donald Trump would wind up elected president of the United States. Robert M. DeConto and David Pollard wrote the paper, titled, “Contribution of Antarctica to past and future sea-level rise.” Their research project started before President Trump likely even considered running. Reconstructions of the global mean sea level (GMSL) during past warm climate intervals including the Pliocene (about three million years ago)1 and late Pleistocene interglacials2–5 imply that the Antarctic ice sheet has considerable sensitivity. Pliocene atmospheric CO2 concentrations were comparable to today’s (~400 parts per million by volume, p.p.m.v. )6, but some sea-level reconstructions are 10–30 m higher1,7. In addition to the loss of the Greenland Ice Sheet and the West Antarctic Ice Sheet (WAIS)2, these high sea levels require the partial retreat of the East Antarctic Ice Sheet (EAIS), which is further supported by sedimentary evidence from the Antarctic margin8. During the more recent Last Interglacial (LIG, 130,000 to 115,000 years ago), GMSL was 6–9.3 m higher than it is today2–4, at a time when atmospheric CO2 concentrations were below 280 p.p.m.v. (ref. 9) and global mean temperatures were only about 0–2 °C warmer10. This requires a substantial sea-level contribution from Antarctica of 3.6–7.4 m in addition to an estimated 1.5–2 m from Greenland11,12 and around 0.4 m from ocean steric effects10. For both the Pliocene and the LIG, it is difficult to obtain the inferred sea-level values from ice-sheet models used in future projections. As is evident from the cited paragraph, the language in the paper is highly technical. In terms of predicting future sea level rise, the reference is usually the IPCC’s 5th report. Figure 2 provides the various contributions for the IPCC-projected sea level rise of the business as usual scenario (RCP8.5). The figure shows that at least until 2100, close to half of the projected sea level rise is attributed to thermal expansion of the oceans while the melting of the Greenland and Antarctica ice sheets each contribute close to 20 cm. 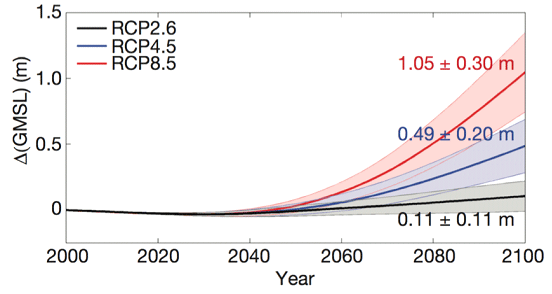 Figure 3, taken from the Nature paper, is based on a model that attempts to reconcile climate events using a high emission scenario model from the IPCC report. The Nature report raises Antarctica’s contributions by a factor of 5. 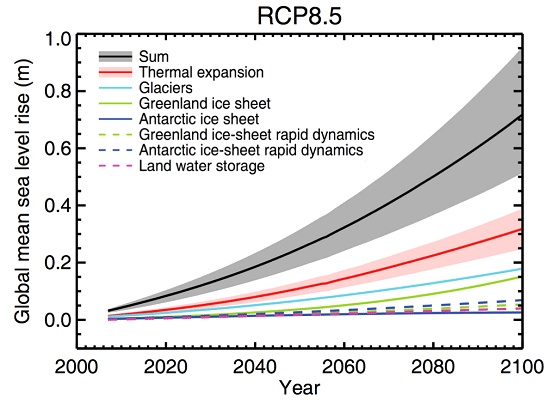 Long term projections (until 2500) under the same scenario and model raise the projections for the Antarctic contributions to sea level rise to 15m. No more Mar-a-Lago – no more Florida, and no more NYC, to name just a few future aquatic destinations. Figure 2 – Predicted contributions to sea level rise by source in the business as usual (high emission) scenario in the IPCC’s 5th Assessment Report. However, it is likely the nationalization of the flood insurance industry and years of federal interference in the sale of private flood insurance will not go unnoticed. The government monopoly on flood insurance has been a major impediment to the growth of the private flood insurance market and has only exacerbated the $23 billion debt the National Flood Insurance Program owes taxpayers. It seems foreseeable that a Trump administration will act to correct such needless waste. Swamps are typically drained to remove the water that harbors mosquito larvae and alligators. Over the years, pundits have embraced this analogy when looking to rid Washington, D.C., of self-serving politicians and feckless bureaucrats or — as in the matter at hand — a flawed federal program costing taxpayers billions. It seems that self-interest should dictate that the president cooperate with the international community’s will, as expressed in the 2015 Paris agreement (COP21) and try to limit the global greenhouse scenario to RCP2.6. His action on this particular conflict of interest would be blessed by all of us. This entry was posted in administration, Anthropogenic, Climate Change, IPCC, Sustainability, Trump, UN and tagged Adaptation, administration, antarctic ice, Antarctica, Bill Nelson, business as usual, Clean Energy, Climate Change, Climate Change Denial, Climate Change Deniers, Climate Skeptics, CO2 emissions, conflict, conflict of interest, Congress, Donald Trump, drain the swamp, Earth, Earth Day, Economics, Emissions, Environment, Flood, Florida, Fossil Fuels, Future, Glacier, Global Warming, governance, Government, greenhouse gas, Greenland, ice, Insurance, interest, IPCC, law, mar-a-lago, march for science, melt, Mitigation, model, national flood insurance, NOAA, NYC, Paris 2015, Paris Agreement, Physics, pleistocene, pliocene, Policy, Power, Power Plants, predict, Prediction, president, president trump, Real Estate, scenario, Science, sea ice, sea level, Sea-Level Rise, self interest, Sustainability, swamp, Tax, tax reform, tax returns, taxpayer, Technology, thermal ice, Trump, US, white house. Bookmark the permalink. We think Sustainability is key. It’s not meant to be a privilege. It’s more than selling your products in the market. It’s about being good stewards of the planet that we live on and protecting the resources that are out there. We can’t just have a few people working on it and then other people saying, “Okay, they’re working on it, we don’t have to.” Everyone needs to work together. Whether you’re just recycling at home, or watching how much water you’re using, lots of little things can add up to a big change. Clean drinking water is quite important. Western Kenya is a very rich area in times of rain, but unfortunately most of this rain goes into rivers that are not protected. People wash their clothes in the same water. They will take their animals to drink water from those same rivers. By the time the people at the bottom of the hill get access to that water, it’s quite contaminated. One way to help against climate change is to drive less when you can. Rather than using your own personal car, try to carpool or use public transportation. If your destination is close enough, maybe even consider walking or riding a bike. Carbon dioxide, or CO2, is a major contributor to climate change and vehicle are a large portion of the CO2 humanity produces. In fact, it’s estimated that for every 2-mile car trip you take, 2 pounds of CO2 are put into the atmosphere. You can also help out by recycling and reusing things when you can. Rather than throwing things away, see if you can find another use for them or donate them to charity if the product is still good. Recycling helps fight climate change because it takes less energy to make a product from recycled products than starting from scratch. Also consider buying things with less packaging in the first place or items that use recyclable packaging. You can also to try and let your homes be a little warmer in the summer and a little colder in the winter, even if it’s just by a few degrees. Moving your thermostat up 2 degrees in the summer and down 2 degrees in the winter could eliminate an estimated 2,000 pounds of CO2 a year. Your diet can also play a part in the climate change battle. Consider eating less meat when you can, as the animal agriculture industries emit a large amount of greenhouse gases. The livestock sector, which includes things like feed production and transport, is responsible for around 14 percent of all the greenhouse gas emissions around the globe. We are not necessarily saying you need to go vegetarian or vegan, but maybe try things like Meatless days or pick a plant-based option for even just one meal when you could have had meat. Every little bit helps! It should be noted, however, that it might not be as simple as all plants are better for the environment than all meats when taking everything into account such as the energy required producing the food. Overall though, plant-based diets seem to be better for the fight against climate change than meat-based ones. Another thing you can do is inspire others to join in the fight against climate change. This can be simply talking to your friends and family about the issues or organizing groups and events in your local community. You can even contact your government officials and urge them to take action and have policies that lead to a healthier, greener future.